Newton County-One of the goals of the Indiana State Police is to reduce injuries and fatalities on Hoosier roadways; in an effort to do this the state police have and will continue to conduct periodic traffic blitzes. Today, Thursday, October 10, 2013, troopers from the Lowell Post conducted one of these blitzes on I-65. 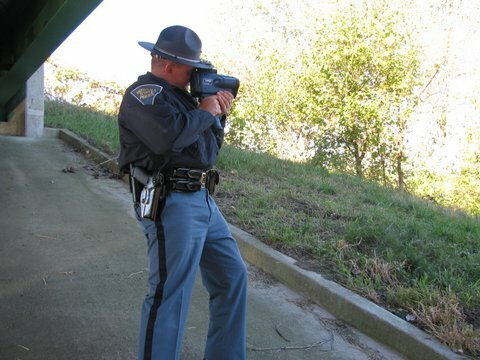 Troopers were utilizing high performance Mustangs, state police unmarked pick-ups, marked and unmarked vehicles and TruCam Lidars that have the ability to not only capture a violator’s speed, video tape it, but also break down the time and distance between cars to include following too close. The TruCam Lidar that was being utilized today was purchased by Newton County Prosecutor Jeff Drinski from the deferral fund. The Indiana State Police would like to remind everyone that traffic safety is a continuing partnership between motorists and Law Enforcement. Let’s work together to save lives.